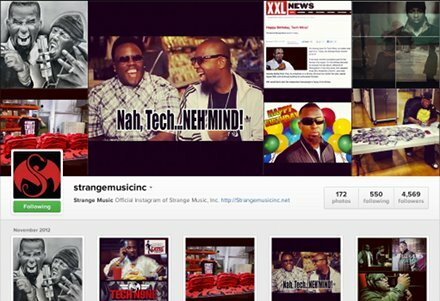 Strange Music’s Instagram Now On The Web! Now that Instagram has officially rolled out web profile pages for all users, you no longer need an iPhone or Android to view the Strange Music Instagram profile. With the click of a mouse, you can now take a sneak peek into Strangeland and view hundreds of exclusive Strange Music snapshots that, besides the occasional Twitter drop, can’t be viewed anywhere else! From behind-the-scenes photos to fan pics and Strange collages, these are photos that any Strange fan won’t want to miss. Click here to view Strange Music on Instagram!